How much can you save on a short sale in Lake Mary, FL? The short sale process in Lake Mary, FL, for a buyer can be very profitable if the situation includes a motivated seller and a cooperative lender. 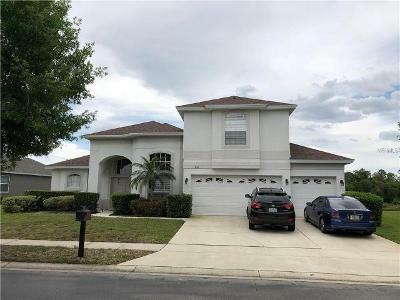 Find the best short sale homes and bank-approved listings available in Lake Mary, FL, at Foreclosure.com today for as much as 75% off market value. There are currently 1 short sale homes in Lake Mary, FL, available for potential sale right now. Get the most current list of short sale listings in Lake Mary, FL — and the information and tools to buy them fast — at Foreclosure.com. Lake Mary is a suburban city that is located in the Greater Orlando metropolitan area in Seminole County, Florida, United States, and is located in Central Florida. The population was 13,822 at the 2010 census. Lake Mary is located at 28°45′27″N 81°19′45″W (28.757622, -81.329038). According to the United States Census Bureau, the city has a total area of 9.7 square miles (25 km2), of which 8.6 square miles (22 km2) is land and 1.1 square miles (2.8 km2) (10.96%) is water. Lake Mary is part of the Orlando–Kissimmee–Sanford Metropolitan Statistical Area, and is approximately 19 miles from Orlando, Florida. As of the 2000 census, there were 11,458 people, 4,199 households, and 3,271 families residing in the city. The population density was 1,330.8 inhabitants per square mile (513.8/km²). There were 4,351 housing units at an average density of 505.4 per square mile (195.1/km²). The racial makeup of the city was 89.33% White, 3.60% African American, 0.24% Native American, 3.83% Asian, 0.09% Pacific Islander, 1.47% from other races, and 1.42% from two or more races. There are currently 1 red-hot tax lien listings in Lake Mary, FL.